Barcelona is one of those cities which seem to have everything. With a long history, plenty of modern attractions and beautiful scenery, Barcelona may seem to be the perfect holiday destination. The city is well known for its connections with art and heritage and there are plenty of people who come to the city just to view its magnificent cathedral. Others come for short breaks for shopping and sunshine. Whatever your reasons, choose car hire services to make your holiday here run smoothly. The city is known for its guided tours and there are plenty of different tours to choose from. One of the tours has been designed to showcase the gastronomic delights of the city and stops will include various restaurants, cafes and shops that sell some of the best local delicacies. Tours are great for those who are feeling active and if you have any energy left afterwards you can sample some of the city’s nightlife. There are plenty of clubs and bars and in the summer the beaches are lined with beach bars for fun on the sand. 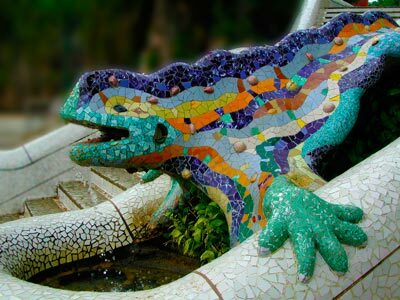 Barcelona is a great place for a family holiday and there are plenty of places to take the kids. One of the main attractions is L’Aquarium. The building itself is worth a look as it has an unusual design and is transparent. There is a play area for children and they can spend time looking at the many different types of sea life there. Alternatively Barcelona Zoo is a good place. The zoo is home to the only albino gorilla to be in captivity and there are plenty of other different species of animal. Barcelona car rental is the best way to reach both of these attractions. Car hire is perfect for those who want to explore outside the city and the town of Figueres is a popular destination. It is 73 miles from Barcelona, so it is a bit of a drive but it is worth it. It was the home of the famous Salvador Dali. He created his own museum there and it is a great place for those who like their art to be a little quirky. Alternatively the city of Girona is just 63 miles away and has beautiful features such as a Jewish section and plenty of historic attractions just waiting to be explored. Barcelona car rental is the perfect travel solution for families who are visiting the city. Public transport timetables are usually very different to personal timetables so why waste precious holiday time waiting at bus stops? Most major car rental agents in Barcelona Sants Railway Station offer one way rentals. One-way rental is when you collect the car in one place and return the car in another location. In most cases the car rental agent will charge an extra fee if you wish to return the vehicle at a different location. In the terms and conditions will state if the one-way fee is included in the rental price. If the one-way charge is not included in the rental price, the one way charge needs to be paid on arrival directly to the car rental agent. Last month, the average car rental length in Barcelona Sants Railway Station was 4 days. The average rental car length in Barcelona Sants Railway Station is 6 days. The most booked rental car type currently in Barcelona Sants Railway Station is ECONOMY cars. Last year, the most booked rental car type in Barcelona Sants Railway Station were MINI cars. How much does it cost to rent a car in Barcelona Sants Railway Station? Last month, the average car rental price was 49 USD. Last year, how much did it cost to rent a car in Barcelona Sants Railway Station? Last year, the average car rental price was 189 USD. What is the current average daily price to rent a in Barcelona Sants Railway Station? Last month, the average rental price was 12 USD per day. How much did it cost to rent a car in Barcelona Sants Railway Station over the past 12 months? Last Year, the average rental price was 33 USD per day. The car rental companies available in Barcelona Sants Railway Station are: Alamo, National, Enterprise. See below last 5 customer reviews. Our customers rated Barcelona Car Rental with an average of 0.00 based on 0 ratings.